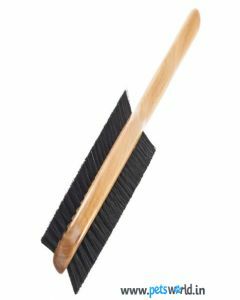 Health and happiness are interconnected aspects of our life. 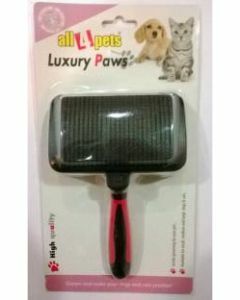 You, as a pet parent, have a big role to play in maintaining the health and happiness of your pet. 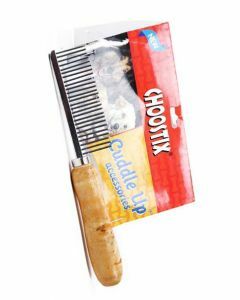 Parasites like ticks, flea, lice and mites seek shelter in the coat of your dog. 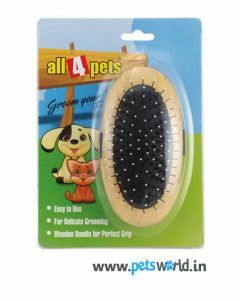 Their new home provides them with a good environment to reproduce and survive. 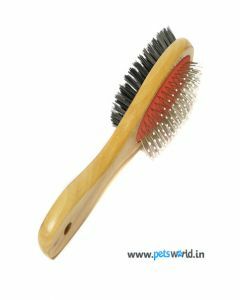 Living on the blood of the canine, they cause skin allergies, may even cause anaemia, and acting as a carrier of other diseases, can have dangerous effects on the pet. 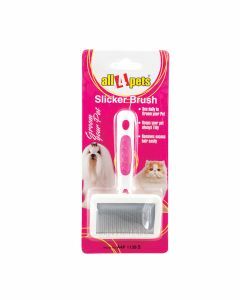 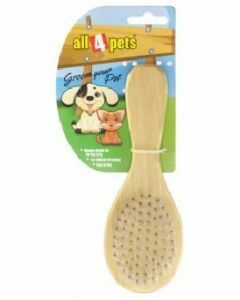 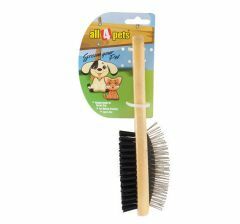 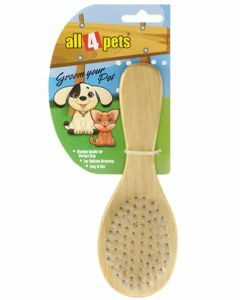 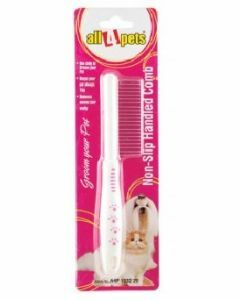 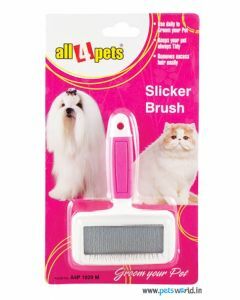 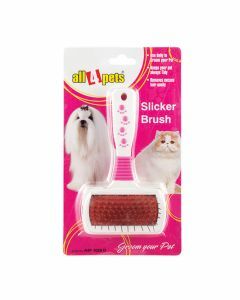 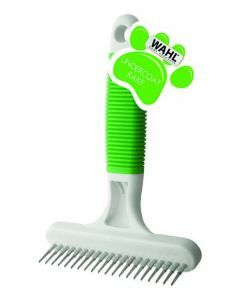 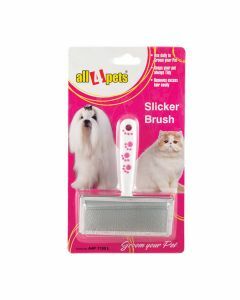 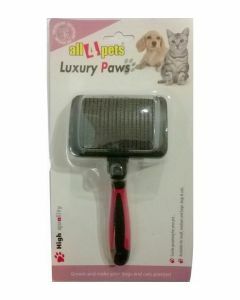 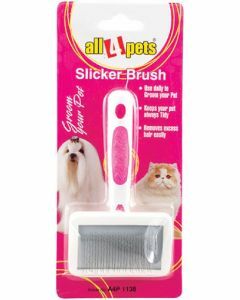 Pets World, your reliable online pet shop, brings a range of pet accessories to keep your pet clean and well-groomed. 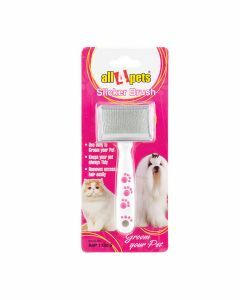 A Regular cleansing routine would keep a check over the tick and flea infestation, enhance the look and promote the health of the pet. 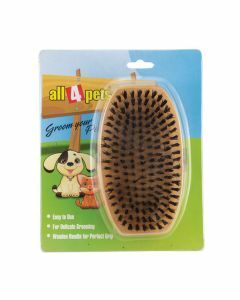 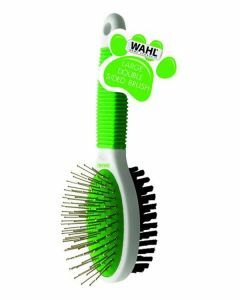 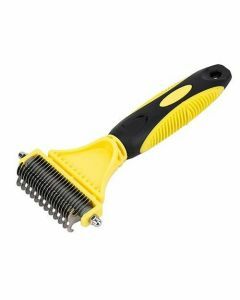 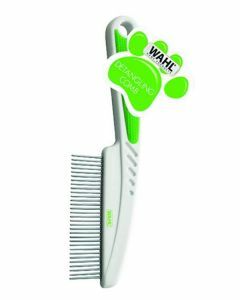 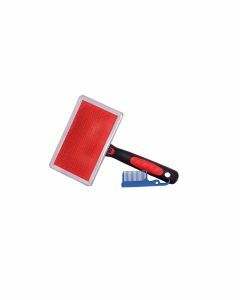 Dog Grooming products include various kinds of brushes and combs (slicker, rake, tick comb, moulting comb) and grooming gloves. 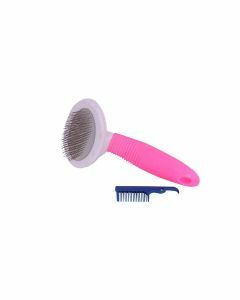 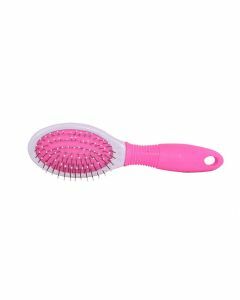 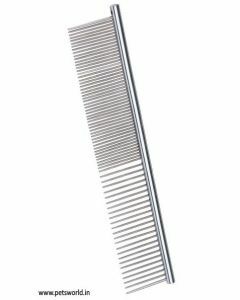 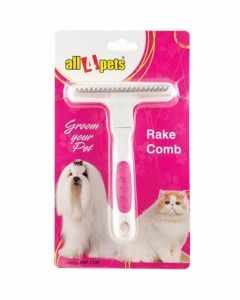 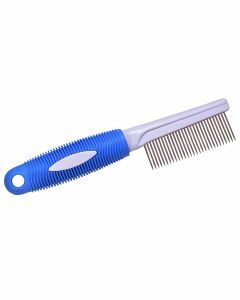 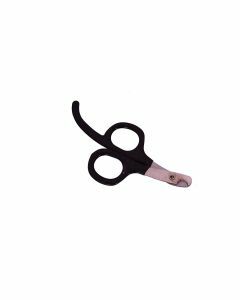 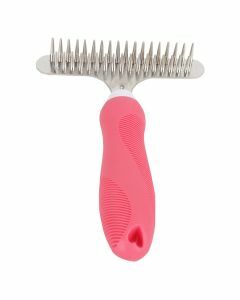 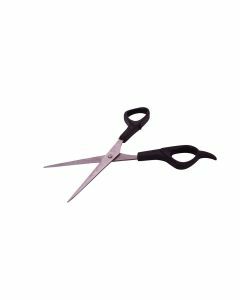 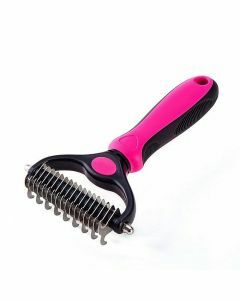 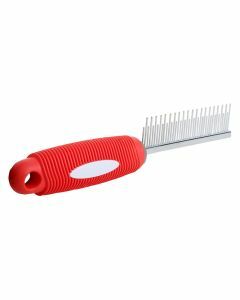 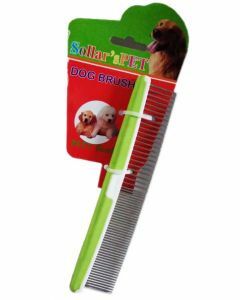 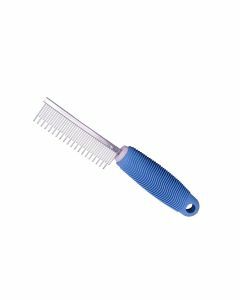 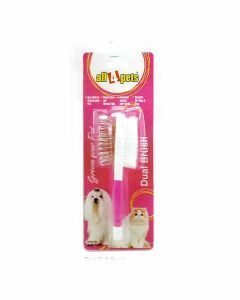 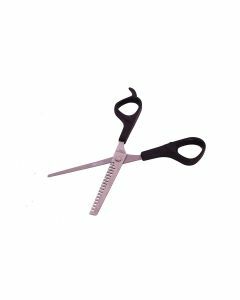 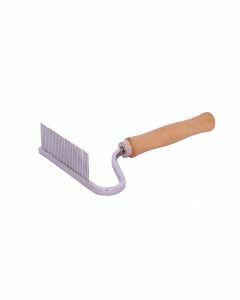 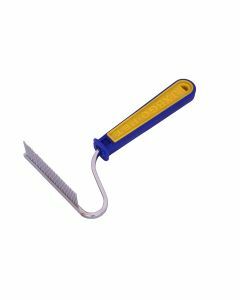 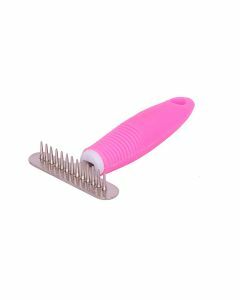 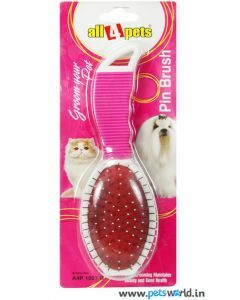 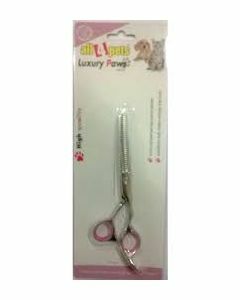 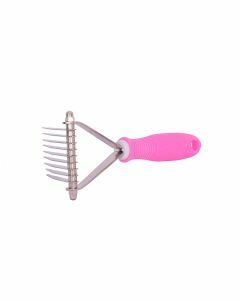 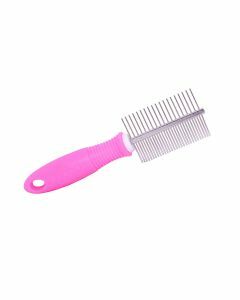 Dual side combs are also available which naturally stimulates the oil glands of the pet and also remove all the dirt and debris which are present inside the fur. 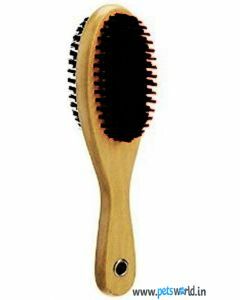 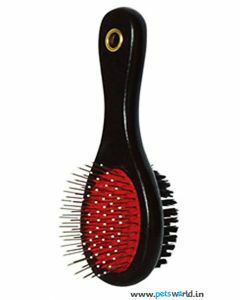 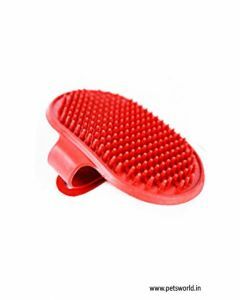 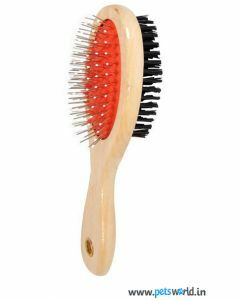 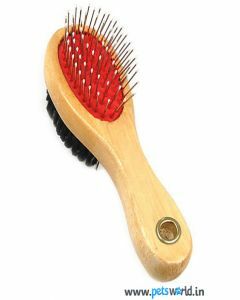 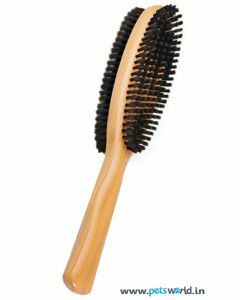 All kinds of brushes are available which suits long, short and shaggy hair.